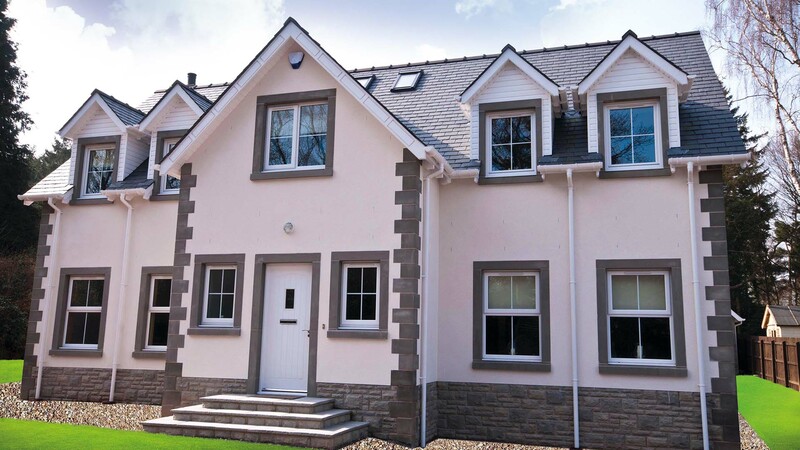 BRE A+ rated weberpral M monocouche render has been specified for a private new build property in beautiful Dumfries, Scotland. Of traditional style, the property features attractive stone detailing to the ground level plinth, stone quoins and window surrounds, and elegant timber sash windows throughout. 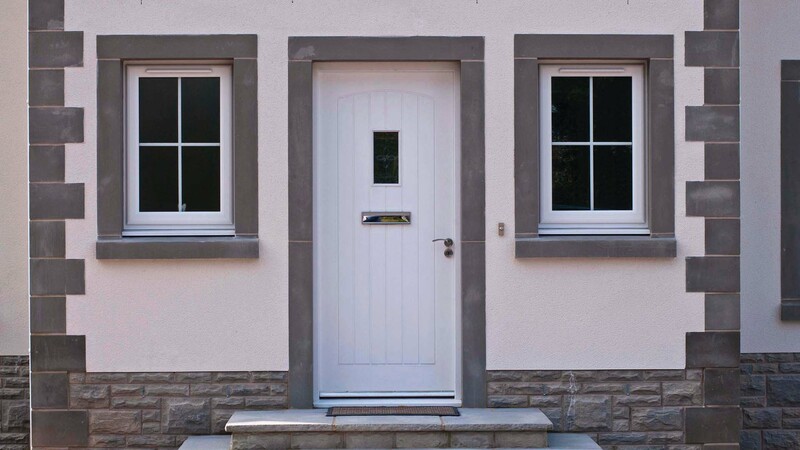 The exterior façade is rendered with weberpral M in Cream and provides a durable, decorative and weather resistant finish well suited to this exposed location and in keeping with the local vernacular. Applicator J J Runcie Plasterers Limited applied the BBA (British Board of Agrément) approved weberpral M monocouche render. This high specification product offers the multiple benefits of through-coloured One-coat Technology which is recognised for its ease and speed of application. By reducing the drying time associated with a traditional multi-coat system by as much as 50%, significant on-site cost savings can be made which contributes to project efficiencies and earlier completion. 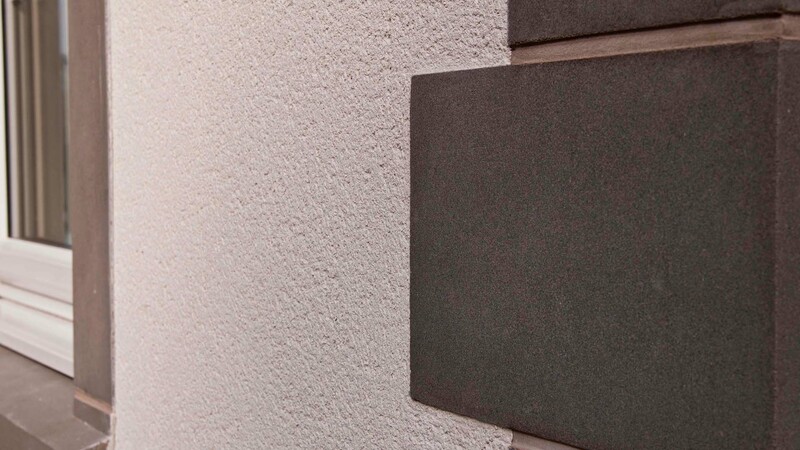 Weber is the first manufacturer of monocouche render to be awarded an A+ rating as defined in the BRE Global 2008 Green Guide to Specification. This audited material helps specifiers to make selections that will collectively reduce the environmental impact of their buildings while achieving more materials credits. Offering ease and speed of application weberpral M requires only the addition of clean water on site and is formulated for efficient spray application over large areas by render pump. It can be used on suitably prepared brick and block work and offers a variety of ways to achieve distinct, architectural features and finishes. weberpral M is manufactured from carefully selected raw materials at facilities in Bedfordshire, Shropshire and Ireland where quality and consistency is achieved.